Windows 10 has been out for almost 2 years now. If you’re still running Windows 7 or Windows 8.1, is it time for you to upgrade? Maybe. A little background first. 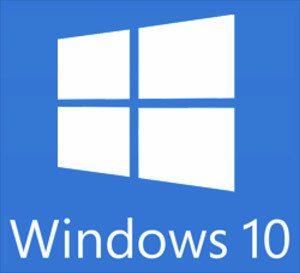 If you’ve been reading this blog or listening to my podcast for the past couple of years or longer, you know that I did not take kindly to Microsoft’s rollout of Windows 10 back in the summer of 2015. They were forcing the “free upgrade” on Windows 7 or 8 users, even if people specifically opted to NOT take it. And many of those that ended up with Windows 10 had all kinds of problems with it. It was a nightmare, and Microsoft lost a lot of credibility with their users because of it. During that first year, I voiced my disgust with Microsoft and Windows 10 loudly and often to my readers and listeners. As a result, many of those that follow me online are still using Windows 7. And I still get the question sometimes, “Should I upgrade to Windows 10 now? Is it safe?”. This is especially compounded by the fact that my OWN computer now is running Windows 10. But that came about rather unexpectedly. My previous computer died and its replacement happened to be running Windows 10. I didn’t intentionally just do the upgrade. If you’re using Windows 7 – you probably don’t need to yet – but there are some disclaimers. Frankly, there’s nothing wrong with Windows 7. It works great. So if your computer is working okay (and the hard drive has been tested and is not showing signs of failure), you can stick with Windows 7 for now. But keep in mind, sometime in the next couple of years, you’ll need to start thinking about either upgrading your computer to Windows 10, or replacing that computer (and the new computer would have Windows 10). Windows 7 will be supported until January 2020, but you DON’T want to wait until December 2019 to start thinking about this. There’s no big hurry at the moment, but get it done before the rush. If you’re using Windows 8.1 – you probably should upgrade – but there are some disclaimers here too. This is not because Windows 10 is so great, but rather because Windows 8 or 8.1 is just so awful. It was a goof-up by Microsoft. They screwed up the whole Start button and Start menu, making Windows confusing and difficult to navigate. Of course, if you’re used to using it and it’s no big deal, then don’t worry about upgrading right away. But in my opinion, Windows 10 is working well enough that you would probably like it better than the crummy design of Windows 8.1. Windows 8.1 will be supported until January 2023 so you’ve got lots of time to make that decision. But for me, I’d much rather be using Windows 10. Telemetry – this is the big set of “features” that most people consider an invasion of privacy. It’s actually listening for you to do a voice search, it tracks all kinds of stuff about what you do, and it sends all that information back to Microsoft. Not cool. When I’m setting up a new Windows 10 computer, I disable all of those “features”. The junk in the Start Menu – When you click the Windows 10 Start button, the menu is filled with junk like Candy Crush, XBox games, ads to buy MS Office, movies, TV, Minecraft, and lots of other stuff. Just lots of visual noise. I delete most of that junk. System Restore off – this makes no sense, but in many computers I’ve found that System Restore is turned OFF by default. System Restore is a great tool to use in solving problems, but it has to be turned on before the problem occurs in order to be useful. Cortana and the talking installation – Cortana is the “artificial intelligence” component that allows you to “speak” with your computer. When Windows 10 is first installed on a computer, the Cortana icon (a circle) is bouncing up and down on the screen, offering to help you search and whatever else you need to do on the computer. Personally, I find it really annoying. It reminds me of the old Microsoft Office mascot “Clippy” (the annoying paper clip that was always bouncing up and down and offering to help you write a letter). Changing default programs – this is just Microsoft being Microsoft again. 99% of computer users, when clicking a PDF file, expect it to open in Adobe Reader. Adobe Reader is the worldwide standard for opening and viewing PDF files. But in Microsoft’s twisted logic, the user would rather have a PDF file open by default in their crappy web browser, Edge. Why? It makes no sense other than to annoy people. And if you do change the default PDF program to Adobe Reader, at some point in the future, Microsoft will change it back to opening in Edge. It’s infuriating. But there’s third-party software that will fix this as well. I’ll probably do a blog post about that at some point. No more photo Preview option – you used to be able to right-click on an image file and get the option to “Preview”. This was great if you just wanted to take a quick look to see what the photo was, rather than actually opening it in a program like Photoshop or something. Well, apparently that was just too useful and practical, because Microsoft eliminated that in Windows 10. But I have a way to get that back also (it’s a registry edit so you probably don’t want to experiment with this yourself). That might seem like a lot of bad features, but in reality most can be reconfigured and avoided, either with a third-party program or by a setting in Windows 10 itself. And these things are nothing compared to the problems I saw when Windows 10 was first introduced – printers stopped working, peripheral items like keyboards, mice and optical drives weren’t compatible, etc. Those things are pretty much taken care of now, unless your printer is really old. You can check your printer’s manufacturer website to make sure it will work with Windows 10. So the bottom line is this: If you’re using Windows 7 and everything is working fine, you don’t need to upgrade to Windows 10 – yet. If you’re using Windows 8.1, you can upgrade to get a version of Windows that’s easier to use. And if you buy a new PC now, it’s going to come with Windows 10 anyway (including some of those bad “features” I listed), but it can be customized and it’s a lot better than it used to be. OK to use 3rd party programs to correct Windows 10 issues, but no mention of using Classic Shell to make Windows 8/8.1 as usable as XP or Win 7. I can stick with 8.1 until support ends or my laptop dies, no problems. Thanks Dave. In the blog, I did mention “if you’re used to using it and it’s no big deal, then don’t worry about upgrading right away”. Sounds like you fall into that category. I agree about Classic Shell, been using it for years. With Windows 10 it’s just not needed nearly as much as with Windows 8. The junk in the start menu. Must you delete it every time or how can you delete it so it’s not an issue going forward? Whatever you remove from the Windows 10 Start Menu should stay removed. Your criticisms of Microsoft are “spot on”. I’m still running Widows 7 & plan to consider running WINE (on Linux) instead of Windows 10 when support for 7 ends. I did try to install Windows 10 last year when it was free (with plans to fall back to 7), but the installation failed a couple of times so I gave up.